Harbin thanks Berry for the basket of flowers she sent to Dr. Harbin during his illness. 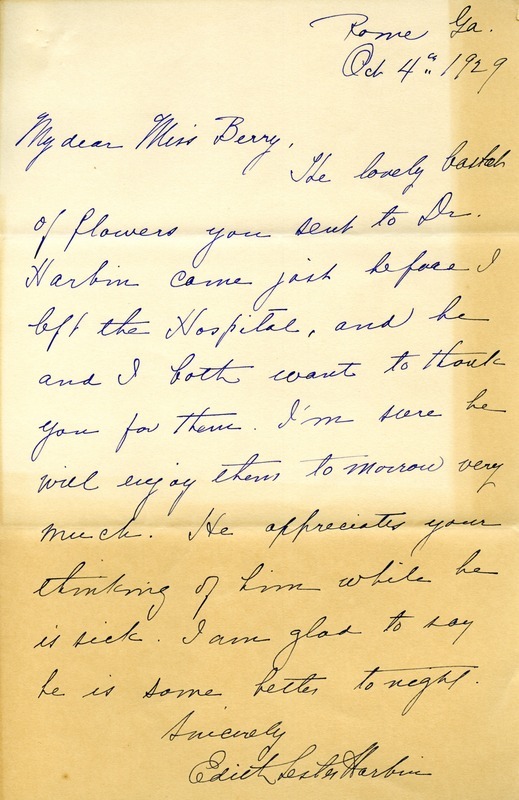 Edith Lester Harbin, “Letter from Edith Lester Harbin to Martha Berry.” Martha Berry Digital Archive. Eds. Schlitz, Stephanie A., Sherre Harrington, et al. Mount Berry: Berry College, 2012. accessed April 26, 2019, https://mbda.berry.edu/items/show/10213.